I imagine most luthiers are primarily interested in making their own instruments, so when repair work comes in, it tends to languish on the workbench longer than it should. An old Kay mandolin came into the shop earlier this year. This particular model was probably mass-produced around 1960, and it is definitely a “consumer-grade” instrument. At the time when the mandolin was made, there were no CNC routers for mass production work, so the front and back of the instrument are not carved in the manner of a typical mandolin but are made of a thin plywood. To get the desired arching, these laminates were probably pressed on a mold.This strategy likely allowed the Kay company to cheaply produce thousands of instruments and make them available to casual buyers for very low prices. 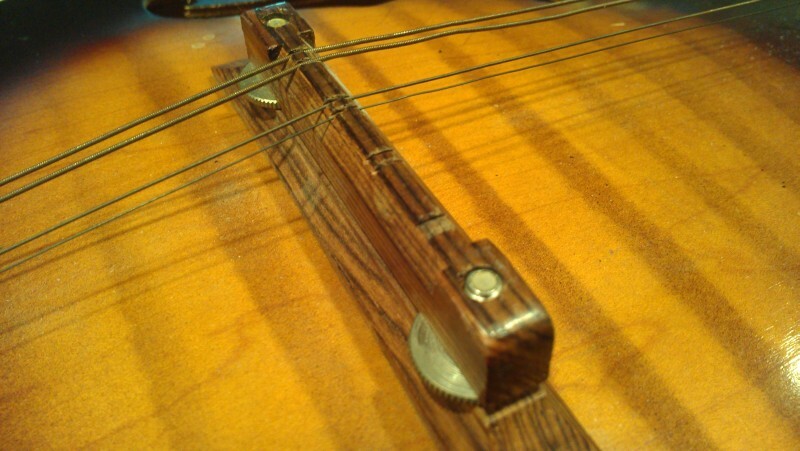 The fingerboard on the mandolin appears to be made of pine, or maybe some low-density hardwood. It’s been painted to resemble rosewood. At first I thought the fret dots had been painted into shallow holes, but later discovered they had been rather poorly inlaid. A fake wood pattern was screened onto the front and back of the instrument to simulate curly maple. The binding, inlaid on most instruments, was simply painted on. The mandolin had apparently been hanging from its pegs. 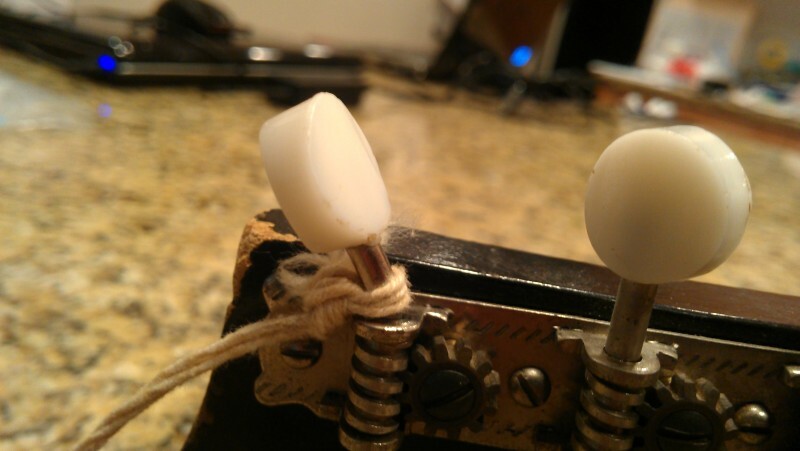 It seems someone must have pulled on it in order to bend the tuning pegs like this. 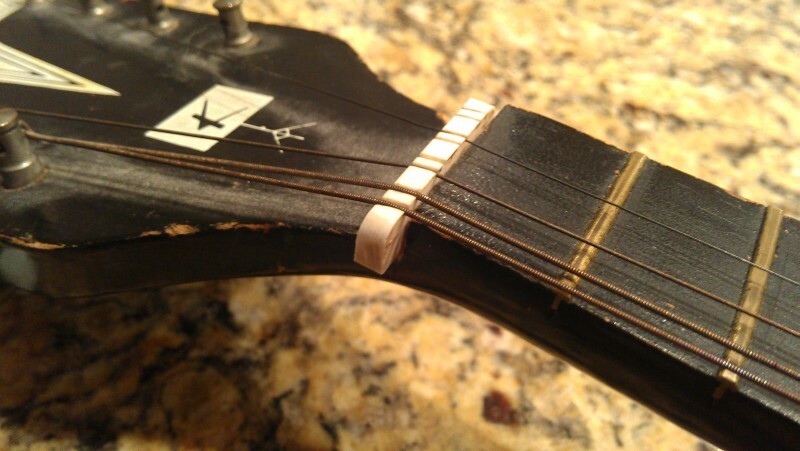 Here you can see the bridge is chipped off at the E string slots. Note how the top is painted to simulate a figured hardwood. 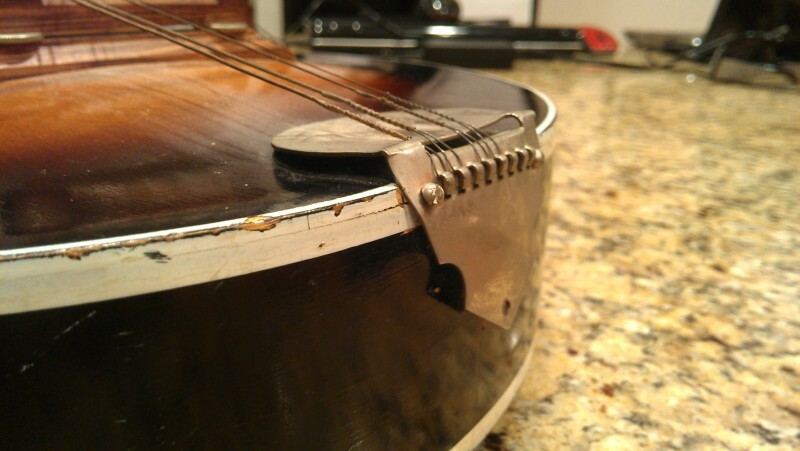 The mangled tailpiece is missing a screw and is starting to tear away from the body. Note the painted binding. 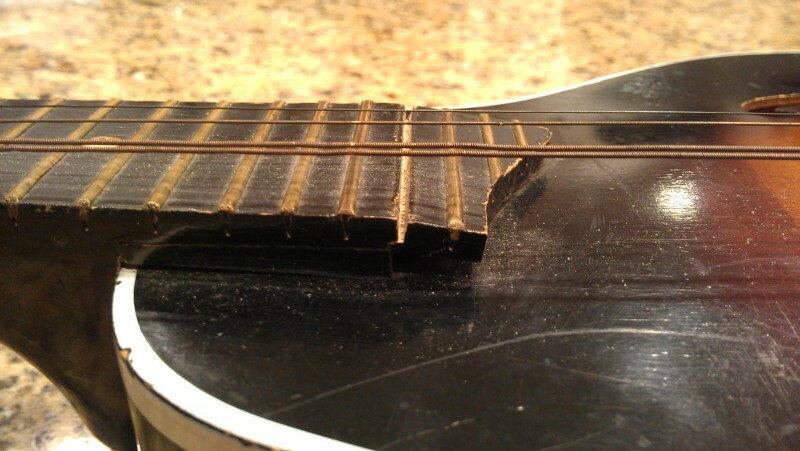 The fretboard has cracked where it projects over the belly, and the fretwire has gone missing. The nut has come loose. At first I thought this was made of plastic but was pleased to discover that it was not. I was able to reuse this piece. The neck has been cracked out of its joint. A proper neck-reset would have required a good deal of reconstruction in this area and would have been more costly than the instrument is worth. I re-glued the joint with new hide glue and clamped it tightly. 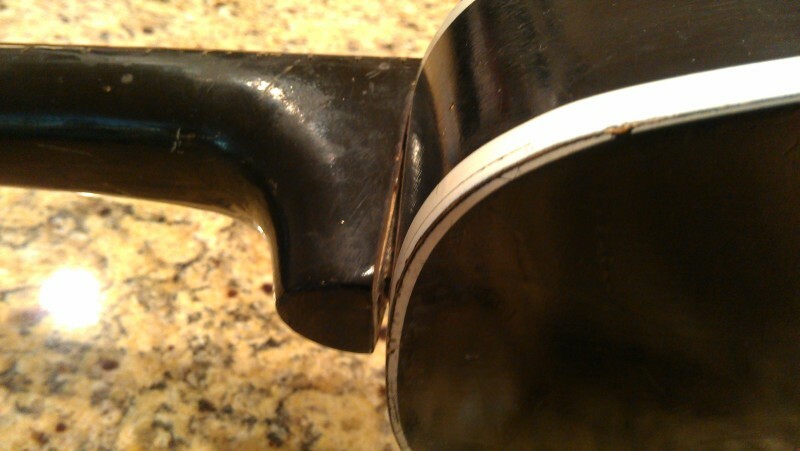 Kay’s machined mortise isn’t as tight as I’d like, so I worry that this could happen again if the owner isn’t careful. I very much like the distressed (battered?) look that years of abuse (probably from kids!) have imparted to the finish. And in spite of being cheaply made, the instrument sounds great, proving that sound quality isn’t entirely a production of craftsmanship.